This is an interesting discussion that is close at hand for every resident, landlord, business leader and people who at one time made “The City” their home or place of business. New York City and primarily Manhattan, Brooklyn from Greenpoint down to Park Slope and Queens in Long Island City and Astoria suffers from a clear supply and demand issue. A lot of people want to live and work in these areas and there is limited space. Now people may muse that this is no different to any highly desired area in the country or around the work from San Francisco to Tokyo to London to Shanghai and Mumbai. This is true but even with those cities the geographical constraints by being actual islands are not as stark. Well then people may say what about Singapore or Hong Kong. While is true both those cities also have space as an issue, as global as they are, they just don’t have the sheer volume of people from every corner of the globe wanting to live here and not just for purely commercial reasons. It is true that Singapore with its favorable tax levels and openness to business and central Asian location is very attractive to major corporations and corporate executives around the world. However Singapore, unlike New York, doesn’t also attract the sheer volume of university students nor those who want to make in the arts like film, television, theater and other creative arts. It also doesn’t attract people who want to make it big in the media, advertising or in the sporting worlds and it also doesn’t house major NGOs, the United Nations and Consulates from virtually every nation on Earth with large delegations. Also unlike Singapore or Hong Kong people come from every corner of the globe to New York City where as the ethnic makeups in the two Asian meccas are more homogenous. The Queens borough alone is home to over a hundred different nationalities of people and not in insignificant numbers either. I digress though as this is not meant to be a comparison between the major cities of the world but rather a reason why New Yorkers as on the go as they always are and dynamic in personality and leading the world in so many areas are truly fearful of moving. By moving I mean moving both business location and more often residential location which is usually apartments. This is actually a huge problem in the inequality debate of New York as it is a major reason of the growing disparity between the haves and have nots. And even with the fairly high earning haves, it really is a population group living purely for the present with little to no safety net. There may be no profession more reviled by New Yorkers than the real estate broker. In the search for apartments a brokers is more often than not a part of the equation to actually show you properties you find online or any open houses you visit. These people who are compensated by a brokerage fee which tends to vary between one month’s rent up to 15% or two month’s rent on average (it can be substantially more as well and often can be under the table to get access to the best building and apartments first). So endless searching on Craigslist or various real estate listing sites then getting on the subway, walking or in a cab all over the city just to maybe find 10% of properties that are actually acceptable and true to what the listing or the broker originally said. New York apartment open houses are often like Black Friday sales where as soon as the door is open people rush into the apartment, spend barely 30 seconds walking around and then rush down with application form and check book in hand to broker’s office to be first to get the form and money in. Experiencing this regularly makes the average person wonder whether they will ever get a place at all by their moving date, let alone one they like. I don’t think I have met a person that hasn’t had a whole host of issues to deal with in their first three months and sometimes more in living in a New York City apartment. Often the first one which requires expenditure is refreshing some or most of the furniture a person owns which involves selling current items and buying a lot of new ones. Apart from being another major expense it is also a hassle given the dearth of furniture stores near highly desired areas plus the lack of transport to move things. The reason why this refresh is usually needed is because of the smaller nature and odd shapes of different New York apartments along with oddities (i.e. lack of bench space or closet space). So something that might have been perfect in one apartment might not fit or be necessary in another. Invariably also appliances, outlets, flooring, bathroom and kitchen issues have popped up that the last tenant neglected to notify their landlord knowing they were leaving so your are left to deal with landlords and flakey supers to try and get your place right. 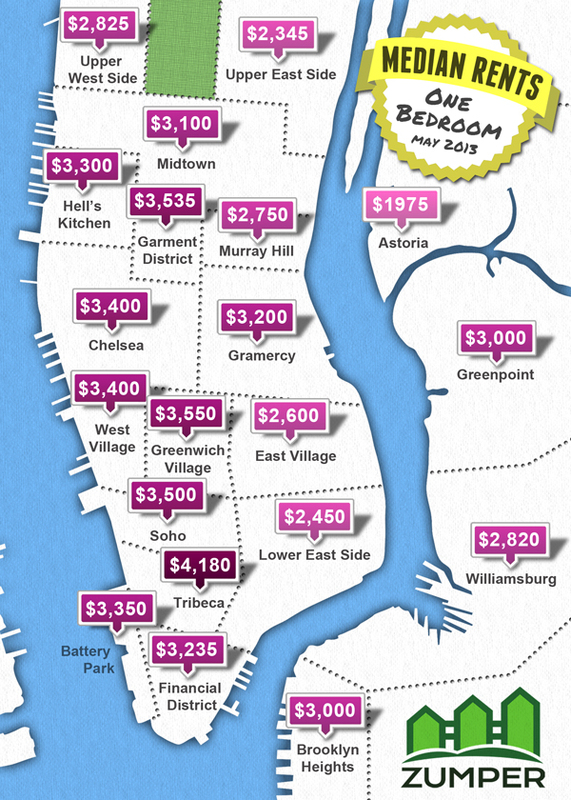 Ultimately this is not meant to be a rant on behalf of current residents or even a warning to future New York City residents but a reminder that this crazy rental environment actually hinders us all. Landlords may like having stable tenants but the reality is they even could probably get higher rents, better care for their places and less potential squatting and non payments if you had a system that didn’t involve so many barriers. There is so many inconsistencies in our city’s rental laws and arcane rules as outlined by the New York Times recently, that there is so much resentment between tenants themselves, tenants and landlords and landlords and the city. New York City dwellers love living in areas close to where they work and where the most often socialize. They also tend to move jobs frequently within the city, discover different favorite spots and usually live in the city for 5-7 years. If it was easier to move, middle men who had little to the process like brokers played less part and upfront costs were lowered then you may have a more economically mobile New York. One where businesses can continue to expand as needed and hire talent easily and pay them relative to their business’s capacity while keeping them happy in their entire lives. This entry was posted in Philiosophy and tagged apartment, moving costs, new york, renting. Bookmark the permalink.